Ahead of plans to a luxury neighborhood, architects and archaeologists find a treasure of ancient remains in the onetime Palestinian village of Lifta on Jerusalem's outskirts. Lifta, lying just north of the entrance road into Jerusalem, is an exception in Israel’s landscape. 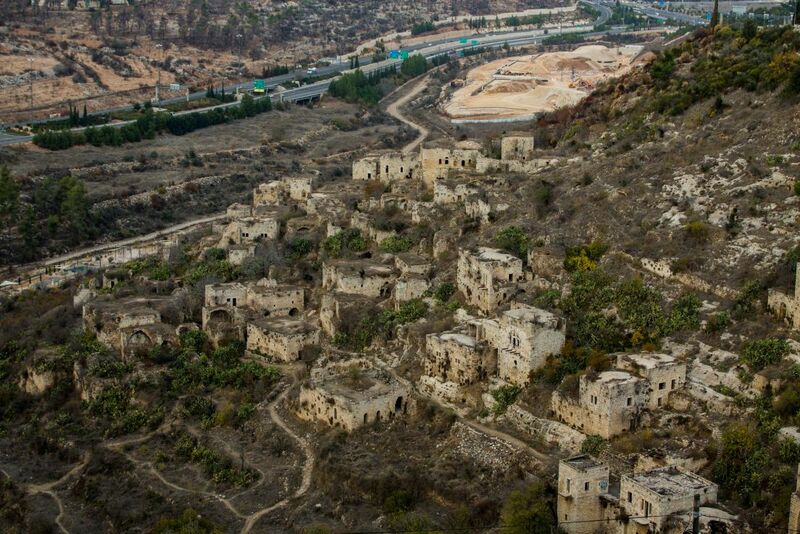 It is one of 400 villages abandoned by Palestinian inhabitants during the 1948 war, and has remained virtually untouched since that time. It's one of the only former Palestinian villages to be frozen in time as most of the rest were either demolished or repopulated by Jewish residents. UNESCO has placed Lifta on a list of candidates for world heritage sites. For 20 years the Israel Lands Authority (ILA) and Jerusalem Municipality have promoted plans to build 115 private homes on the village's site. Stores, cafes and restaurants will also be built in the new neighborhood. The plan has been opposed by architects, preservation advocates and the village's refugees. Four years ago opponents won a great victory when the District Court ordered that the tender for selling plots be revoked, and ordered the state to conduct an archaeological survey. Architects and archaeologists examined its surviving 75 houses. They documented stages of construction and created 3-D computer images of the village in different periods. They discovered that the oldest building dated back 2,000 years and reflected both Roman and Hellenistic styles. In the Middle Ages a Crusader farmhouse was built over this structure, and became the village’s central focus. The village grew continuously during the Ottoman period. 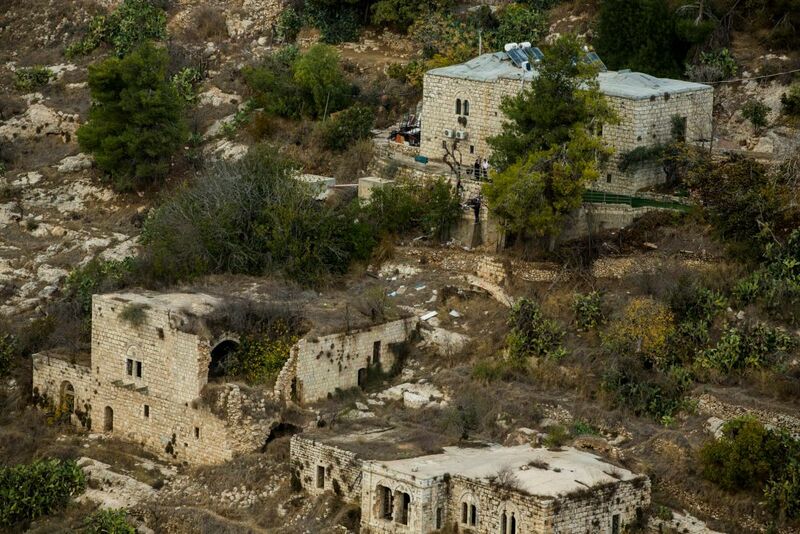 Six houses containing oil presses were found, constituting an industrial complex that provided olive oil to Jerusalem and neighboring villages. An old roofed street leading to these presses was also found. 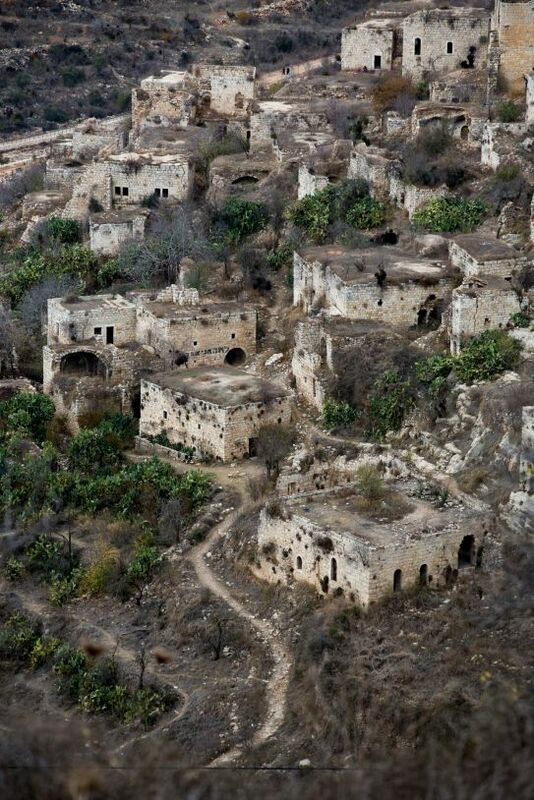 Some large caves were discovered below these houses, which provided living and storage space. The researchers were assisted by descendants of Lifta's inhabitants living in East Jerusalem. Together they mapped the web of families who lived there, digitally recreating streets and squares, terraces and agricultural facilities. But the ILA says it has no intention of reconsidering its plan to build new houses at the site, though it agrees to take steps to try and preserve ancient remains. Opponents are furious that the housing plan has not been cancelled. They say the survey shows that new roads would destroy ancient remains, endanger the oldest building and that construction would likely damage trees, fences and other older buildings. “A new plan needs to be drawn up. The previous one conserved only the margins, trying to cram in as many units as possible into the area. Rethinking is now in order,” says architect David Guggenheim who opposes the plan. Attorney Sami Arshid, representing the refugees, also calls for cancelling the plan. The plan as is would make the historic village into a modern residential and commercial area. An alternative being explored is the possibility of making the remains a tourist site, while building new homes at the village's margins. The ILA objects to that idea. The Authority is preparing conservation guidelines to attach to construction plans. Any developer will have to invest large sums in conservation.